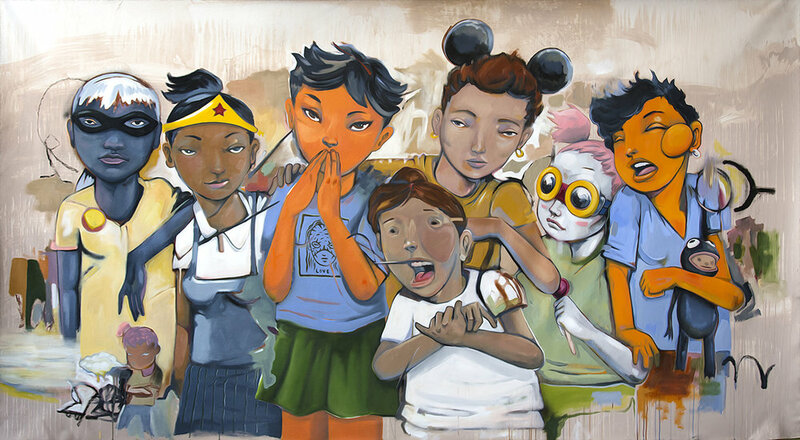 Contemporary African American Artist is best known for creating narrative-driven work around his iconic characters. The artist was deeply influenced by the South Side of Chicago’s Afro Cobra movement from the 60’s-70’s and started his art on the streets, painting walls, old trains and buildings. Keeping this street energy and aesthetic, Brantley, in his artwork, is addressing various and complex topics around nostalgia, power and hope while being inspired by hip-hop, anime, manga and his own history. Through the years, Brantley earns an international recognition, he conducted several exhibitions in the US, London or Switzerland.